In Memory of James Yannatos: Symphony No. 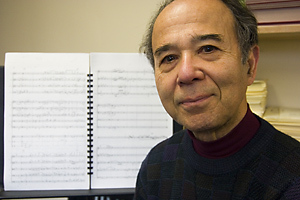 5, "Son et Lumière"
Last week, we got the sad news that James Yannatos — an accomplished composer and the longtime conductor of the Harvard-Radcliffe Orchestra — died at the age of 82. Although the Harvard community mainly knew Dr. Y as a conductor, he also left behind an impressive body of work as a composer — including several symphonies that we're fortunate enough to have on recordings with the man himself conducting the HRO in Harvard's Sanders Theatre. Today we'll focus on his Symphony No. 5, "Sons et Lumière" (1991), whose name, as he said, comes from the sound and light shows he would have witnessed in France — one of his many stops as a student before landing at Harvard. These nighttime extravaganzas feature stimulating light displays on the fronts of buildings, with accompanying sounds, as a way of drawing attention to structures' histories. (Here's a neat example of Notre Dame getting the son et lumière treatment.) If Yannatos' "Son et Lumière" is a symphonic manifestation of a sound and light show, then the edifice it's meant to memorialize is nothing less than the globe itself, with its three movements entitled "Europe," "Asia Minor-Asia," and "Africa." As Yannatos himself wrote (according to these program notes), "The title alludes to past as well as to present events in which the political face of Europe and Africa is changing." Of course, the early '90s were a heady time for the Western world, one in which many celebrated the end of the Cold War as well as a new image — however premature and, ultimately, naive — of a more unified global community. In other words, a perfect subject for a sound and light show. If Yannatos' creative combinations of glistening timbres reflects the "light" part of the sound and light show, the "sound" part comes, perhaps, from the melding of snippets of national anthems and folk tunes (see here for a more detailed description). They're easy to miss because they're not all well known and because Yannatos masks them well — the regular shifts in instrumental combinations sometimes draw attention away from the pitches themselves. But appreciating the celebratory flavor of the work doesn't depend on recognizing the melodies. Here, in the first movement, some of you will recognize this sweeping, even plaintive reformulation of the Polish national anthem (listen here if you need a refresher). Since we're talking about a sound and light show, it makes sense that Yannatos ends where he began, with the same harp glissandi and tense, quick alternation of notes in the strings we started with. That's because despite all the spinning of lights and swirling sounds, we're still recognizing one stationary object — here, the earth. (Yes, Sheldon Cooper, we know that the earth actually moves.) The movements' geopolitical titles suggest a journey, but the world is still the world, just as Notre Dame is still Notre Dame. The examples here have come only from the first movement, so you'll have to explore Asia and Africa on your own — or, as we at Unsung Symphonies hope, courtesy of some local orchestra finding a way to recognize Dr. Y's contribution to the Harvard Community, the Boston area, and the musical world at large (a Boston Symphony Orchestra concert in his memory of this or another work, perhaps?). And it'll be interesting to see what kinds of tributes his students come up with. Here's one idea, hard to execute and maybe a little over-the-top: a son et lumière outside Harvard's Memorial Hall (home of Sanders Theatre), with Dr. Y's Symphony No. 5 as the soundtrack. For some of the composers we've covered here, it is truly baffling that they aren't better known. These are the symphonists whose works are accessible, profound, perhaps even popular at the time of their premieres, but for some whim of concert programming, didn't quite make it into the canon. Then there are those for whom obscurity--however undeserved--is not a surprise. 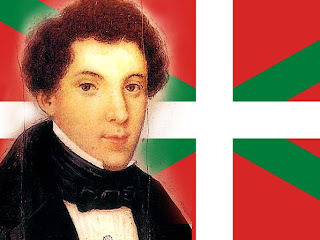 Such is the case with the Basque composer Juan Crisóstomo Arriaga (1806-1826), whose marginal status today is the result of a convergence of sorry circumstances: a brief life, a small output, and a musically non-mainstream nationality. Arriaga's composing career was stunted because of his incredibly short lifespan. He died from tuberculosis 10 days before reaching his 20th birthday, although his teacher, the eminent François-Joseph Fétis, held that Arriaga's work ethic led him to counterpoint-exercise himself to death. Arriaga developed into an extraordinary musical prodigy at the prodding of his organist father. At thirteen he penned his one and only opera, with an in-vogue Turkish abduction plot, Los Esclavos Felices (The Happy Slaves). Yet he was so shy that at its premiere in his hometown of Bilbao, he hid away until tremendous applause at its conclusion drew him out. He moved to Paris at age 15 to study at the Paris Conservatoire. His truncated tenure was highly productive, for what it's worth. He wrote arias, fugues, a cantata and Stabat Mater, three string quartets--works that stunned Fétis as well as the extremely difficult-to please head professor Luigi Cherubini. And a single Symphony in D.
After his death, Arriaga's relatives promoted an image of Arriaga as the "Spanish Mozart" (or indeed, given his birthplace in Bilbao, the "Basque Mozart" for members of Basque nationalist movements). The comparison is not just apt, it's spooky. Arriaga was born exactly 50 years (to the hour!) after the birth of W. A. Mozart. Like his predecessor/past-soul incarnation, Arriaga wrote in a mostly Viennese classical style, which was still the dominant popular and academic idiom of his day. He had a remarkable melodic verve and mastery of counterpoint, but died before these skills solidified into something truly revolutionary. Perhaps his failure to even glance the surface of the canon owes to the lack of overt "Spanishisms" in his music. Spain since Domenico Scarlatti had more or less slipped off the radar of mainstream European concert composition, and despite his promise, Arriaga neither established a national school of Spanish music at home, nor did he introduce a curious "ethnic" flavor that would have entranced central European audiences. No castanets, no jota rhythms. Though a few commentators have discerned vague "Latin flavor" in his melodic writing, Arriaga was a cosmopolitan composer at heart rather than a purveyor of local color. The Symphony in D was written during Arriaga's time at the Conservatoire, and was probably performed there once. (At least the composer would have been able to hear his orchestral masterpiece, provided he wasn't still so shy to avoid the premiere.) It is a smoothly conceived and executed work, displaying more than just facility, but a real fluency with Classical symphonic form. The first movement is a churning allegro in D-minor, but it starts off with a lengthy slow introduction in the parallel key of D-major. Things pick up with the entrance of the movement's Sturm-und-Drang exposition, full of dissonant thunderclaps and angsty string palpitations. Especially skillful is the motivic consistency; parts of the main theme and its transition are incorporated into the second subject in the relative major F. Here is a fairly substantial portion of the expo, leading halfway through the second theme. Listen for the 4 eighth-note rhythmic motif ba-ba-ba-BUM, where that last BUM always lands on a note much lower than the first. The symphony's slow second movement is based around a pair of unhurried themes framed once again within a sonata structure. The second of these is particularly beautiful, a lyrical melody one might easily mistake for Mozart (on a good day). Next up, a minuet+trio movement (no shock there), although the minuet is so jagged and full of tutti-alternating-with-concertino scoring that whatever gentility the dance might originally have boasted is surely purged here. The cheeky syncopation of the opening, combined with the extreme economy of melodic materials (scarcely more than arpeggios in 2-voice imitation) leaves a distinct and welcome Haydnesque taste. Arriaga leaves the most impressive display of his burgeoning compositional talent to the last movement's Allegro con moto, where we are returned to the tempestuous mood of the opening. True, the throbbing accompaniment and troubled but energetic theme are heavily reminiscent of Mozart's 40th Symphony. But perhaps the commentator Alan Pedigo isn't totally off-base in claiming that the movement is "flavored with variations of the rhyhtm and melody of the Fandango and Andalucia." The off-beat chords in the woodwinds anticipate more violent bursts when the first theme concludes and heads into the second theme area. We have, then, another rather dangerous dance. The development is short but in its way substantial, and at one point just happens to launch into a fuguetto based on the second subject. Where lapsing effortlessly and unexpectedly into fugue was a mark of Beethoven's late style, for young Arriaga it seems motivated by a combination of showing-off and free wheeling joy in counterpoint that Fetis so admired. The modified transition section of the recapitulation is the most remarkable portion of the symphony. To understand what's happening here, we need to return to the exposition, and inspect the way Arriaga gets from the D-minor of the first subject to F-major of the second. The strategy there is already a little odd, as it involves a passage that very quickly takes us to a chromatic destination (C-minor) as part of a sequence falling in major seconds. The ultimate goal is the pitch Bb, which acts as the seventh of a downward arpeggiating C-dominant for F-major. The question Arriaga must have posed himself is "how do I change this transition in the recap so that I end up *back* in D?" His answer is to re-position that chromatic event so that it affects A rather than the tonic D. The result is a shocking motion from A-major to Ab-major. True, that latter chord is transitional in character, leading to further semitonal droops all the way to Gb (bIV?!). But it remains an astonishingly bold musical shift to the single most remote key out there (Ab in the key of D is...bV?). The surprises continue, when Gb is reinterpreted as F# and climbs *back up* to Ab (now heard as G#), which settles on A major as the proper dominant that clinches theme number two. For the analysis-oriented of you, here is a little reduction of the process as it occurs in both sections, lined up to show the similarities and divergences in strategy. Arriaga's symphony, despite these dazzling flourishes, is ultimately a rather conventional animal. Yet we must remember it was written while he was still a composer in training. Indeed, if his life were not cut so short, Juan Arriaga may well have become one of continental Europe's most widely sung symphonists.
. Recounted in Barbara Rosen's Arriaga, the Forgotten Genius: The Short Life of a Basque Composer. (17-18). Rosen's slim volume is an invaluable source for information on Arriaga, not just biographical, but with regard to his place in music history and the gradual attempts to revive his music.
. Frankly, I feel the intro is the weakest part of the work; Arriaga basically lifts his beginning from the slow opening of Beethoven's 2nd symphony (by accident or more likely, star-struck imitation, I'd wager).
. Cited in Rosen, 50. 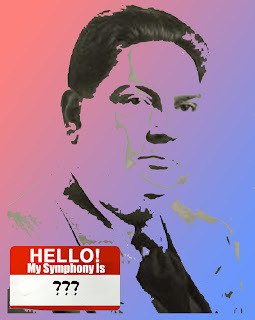 Milhaud's Symphony No. 1: "Choose Your Own Subtitle"
Unsung Symphonies is happy to welcome Louis Epstein, a Ph.D. candidate in musicology at Harvard University. Louis is writing a dissertation on funding for music composition in interwar France and has been promising to redress our shameful lack of Gallic symphonies over here for quite some time. 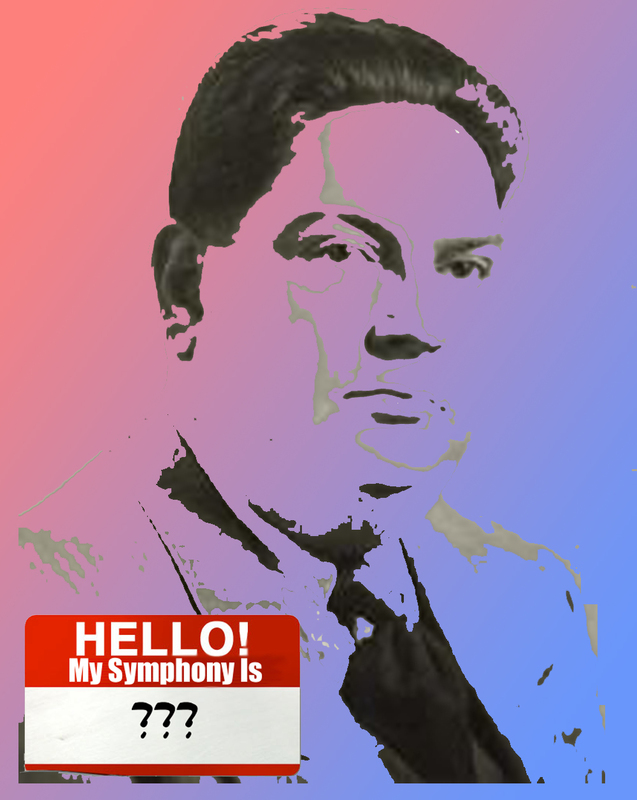 It's worth the wait, as Louis's comprehensive take on Milhaud's First Symphony speaks to many of the problems at stake in 20th Century symphony composition (and reception) that we're constantly negotiating here at our blog! Legion are the symphonies whose legacies depend, in part, on epic and provocative subtitles: “Farewell,” “Eroica,” “Titan,” "Apocalyptic" to name but a few. Darius Milhaud’s Symphony No. 1 bears no such subtitle – one possible reason for its relative obscurity to date – but I hope to change that now. As I reinvent the historiographical legacy of Symphony No. 1, I’ll audition three possible subtitles, each one more epic and provocative than the last. Milhaud, along with Stravinsky, was one of the major practitioners of the neoclassical aesthetic in music in the 1920s and 1930s. Eschewing huge ensembles, overwrought sentimentality, and “German” heaviness, Milhaud’s first attempts in the “symphonic” genre were his Six Petites Symphonies, which were really chamber works whose titles implied rejection, rather than embrace, of the symphonic ideal. To a certain extent, Symphony No. 1 continues in this vein by problematizing sonata form and frequently employing chamber ensembles within the orchestra. The opening of the symphony is its most concentrated neoclassical moment: the winds carry the accessible theme, accompanied by pizzicato strings whose primary purpose seems to be staying out of the way. The symphony’s neoclassical veneer persists through the first movement with but a few scratches. By the opening of the fourth movement, however, Milhaud’s exposed, tormented spirit is on display with a heavily orchestrated theme at odds with the typical neoclassical (read: “French” or “Stravinskian” ) priority of emotional detachment. Yet following this moment, Milhaud turns his back on overwrought emotion, investing in sincerity and reduced orchestral forces once again. To Milhaud, his wife, and their son, this symphony was a ticket out of the crumbling French republic at the beginning of the Second World War, delivering the family from (certain) evil and (likely) death. Frederick Stock (conductor of the Chicago Symphony Orchestra) commissioned the symphony from Milhaud in mid-1939 to celebrate the organization’s 50th anniversary. When the Germans invaded France, capturing Paris and forcing the capitulation of Mar'echal Petain, the Milhaud family fled, crossing the border into Spain and from there Portugal. Milhaud used newspaper articles and correspondence with his manager to prove that he had composed a symphony for an American orchestra and was expected to attend its premiere, and this was enough to earn him a coveted visa. The family exited Europe through Lisbon, arriving in New York on July 15, 1940. The context of the war emerges audibly – even programmatically – throughout Milhaud’s symphony. The end of the otherwise serene first movement tempers its innocent, pastoral topic with rumblings of something dark in the cellos and bass clarinet. The second movement opens with a fulfillment of that sinister promise. After the first presentation of a violent, angular theme, Milhaud offsets it against itself by half a measure, marking with a very real displacement the confusion and despair of wartime. It's worth comparing several recordings to see how this effect can be exploited. The first is Michel Plasson’s 1992 performance with the Toulon Symphony, which softens the drama of this moment through technical polish. In the second, Leopold Stokowski’s 1943 performance with the NBC Symphony Orchestra, the manic tempo accentuates the uncertainty of Milhaud’s melody - appropriate for a wartime recording. If you learned about this Milhaud symphony through Stokowski’s recording, you would be forgiven for immediately associating it with World War II - this performance drips with violence and pathos. Following the pastoral first movement, the martial second movement easily might evoke the trampling of the folk by an invading force. The languorous and melancholy third movement suggests dejection, resignation, and calm uncertainty. We've already heard the beginning of the fourth movement, a musical representation of servitude if ever there were one. Following this theme, though, another emerges - a peppy sea-shanty in the winds. Near the end of the movement, the two themes compete for preeminence. In the battle between Germanic heaviness and an Anglo-Saxon-influenced folk tune, only one can survive . . .
To find out which theme wins, you'll have to take a listen on your own (or just think about who won the Second World War). Then again, there's a strong chance that this theme - and the whole symphony - isn't about the war at all. The dates of the symphony tell the story. In his autobiography, Milhaud reports that due to illness and writer’s block, he didn’t start composing until after war had broken out, in November 1939. (So it is about the war!) Consistent with Milhaud’s general compositional facility, he finished the work in short order on December 19th, 1939, meaning he wrote the entire thing during the so-called “dr^ole de guerre” in France, before the German invasion, and well before Milhaud knew he would need to flee the country. So a program that traces the various stages of the war – calm, defeat, desolation, ending with a battle between servitude and liberty – seems historically inaccurate, even if it does make for a nice story. Still, there’s no denying that Symphony No. 1 deserves the subtitle “Deliverance.” For one thing, the work undoubtedly saved Milhaud and his family. And even if its content couldn’t possibly comment on the war at hand, there’s no reason it can’t make more of a universal claim - maybe something timeless about good vs. evil. This, too, is a projection not easily born out by the historical record, but that doesn’t mean it’s not worth trying. This admission brings me to my final subtitle proposal. The third movement seems to constitute the greatest nod to Americana, with its omnipresent blue notes, “Summertime”-like languor, and emphasis on wind timbres. Ultimately it’s less important that the piece sound American (since we still don’t really know what “America” sounds like) than it is that the piece and its composer stake out a clearly defined place in American musical culture. With a commission and premiere by the Chicago Symphony Orchestra and an early second performance by Stokowski and the NBC Symphony Orchestra, Mihaud's musical style clearly appealed to American tastes. Through his many years of teaching at Mills College, his numerous commissions by Elizabeth Sprague Coolidge, Serge Koussevitzky and the Boston Symphony Orchestra, and a surprising number of other American orchestras (San Francisco, St. Louis, New Orleans, and more! ), Milhaud’s music did more than interlope on American musical life – his work helped define it. My subtitles for Milhaud's First Symphony highlight how reception can color our perception of a piece, and they point to an age-old dispute about the nature of "programmatic" music. (Does the Eroica sound heroic if we don't know the title?) In truth, one could audition any number of subtitles for any symphony - but only time will reveal which subtitle proves most apt. For Milhaud's Symphony No. 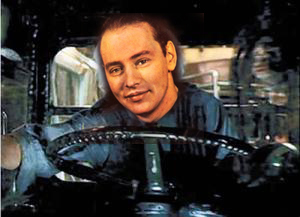 1, will it be "Post-neoclassical," "Deliverance," "American" - or would you choose something entirely different? 1. Recapitulations are only nominally related to expositions; themes come in Mozartian groups rather than Beethovenian oppositions. See Roger Nichols, Liner Notes to Michel Plasson recording. 3. It’s worth noting that the second recording can be found on the same album as two other Stokowski wartime performances, one of Hovhaness’s Symphony No. 1 “Exile” (see what I mean about epic subtitles?) and Copland’s Symphony No. 2 “Short” (not so epic).